Which Magic Shot do you like best? I love that they do this. 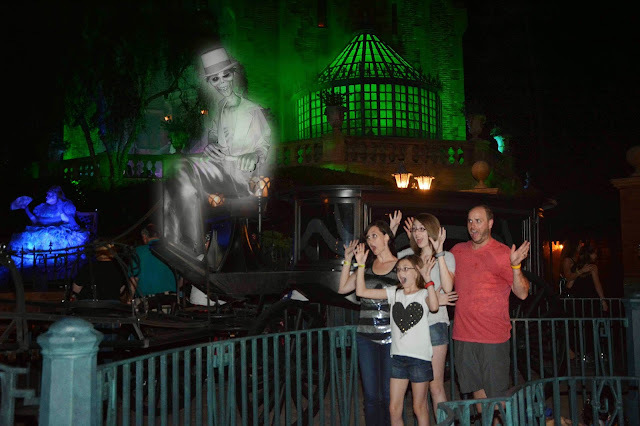 We have an awesome one of the 4 of us with the horse and buggy in front of the Haunted Mansion. IRL it's just the carriage and the horse holder thingie and you would imagine that they are being pulled by ghost horses, but in the pic we got, they put the horses in there and a few ghosts in the carriage! It's hard to pick a favorite. 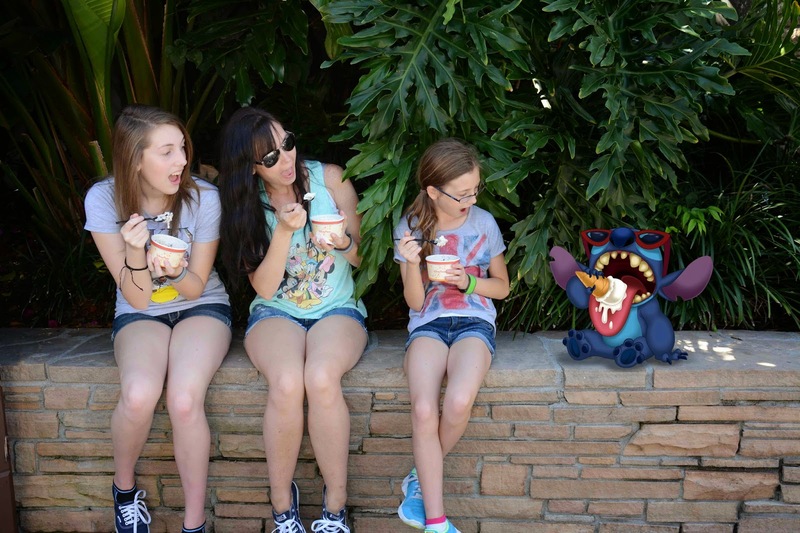 The last one of Stitch eating ice cream is funny, but I like the Olaf one too! It's so hard to pick a favorite as I really like them all. 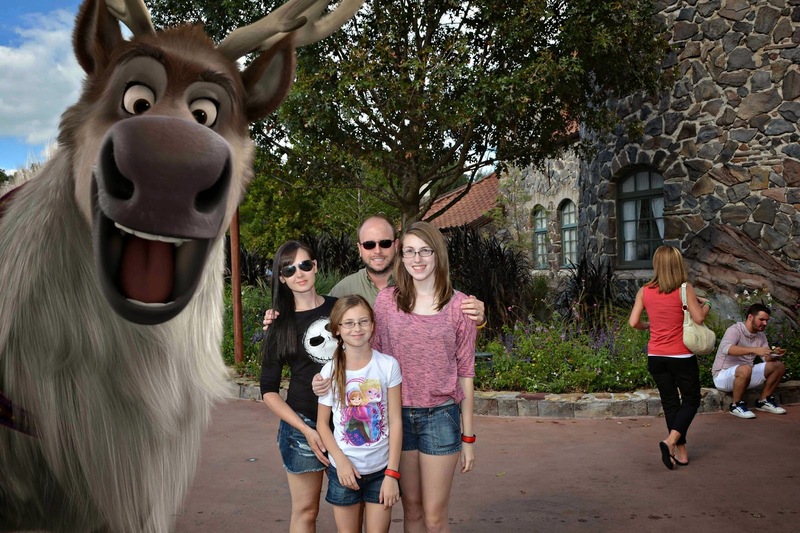 But I do love the photobomb of Sven. So cute. They're all great, but the one with you guys and Stitch is my favorite. Stitch is my all time favorite Disney character. All the pictures are really great. My favorite is the one outside the Haunted Mansion the ghost driver is cool. Those came out really nice. We love Disney, we used to have annual passes to Disneyland. I love all the pictures of your family living it up with Disney. The one with Tinkerbelle is really awesome. We are hoping to make it to Disneyland next year, and perhaps Disneyworld the year after. 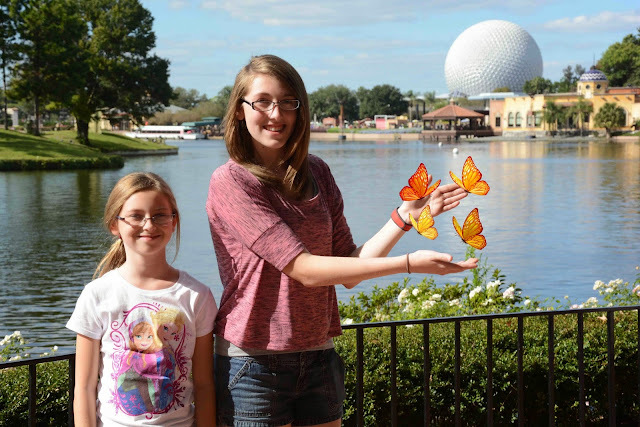 I've been to Epcot with my sister several times over the past decade and now I think it's time to convince the girls to get on the plane and go to Florida! These photos are all stinking cute! I love them! I didn't realize they had so many! 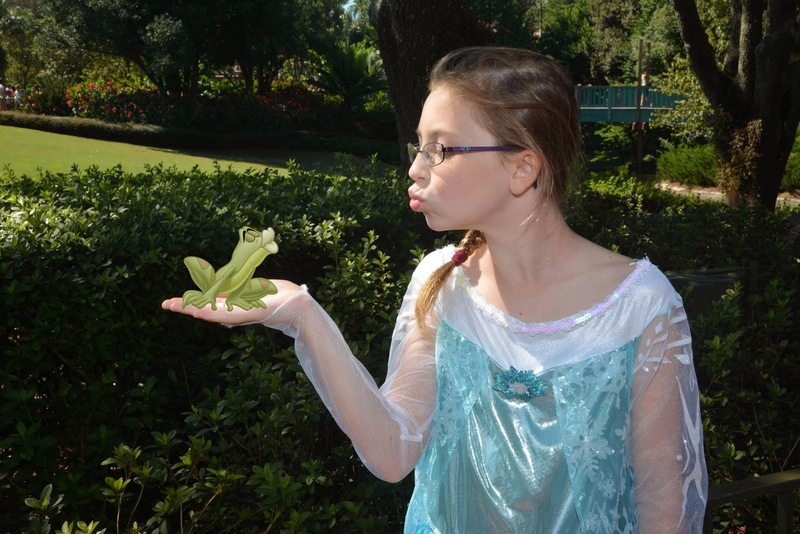 We've done the Tinkerbell one, but hadn't seen all the others! I didn't even know you could do this. It's so much fun and they all came out so perfectly. It really does look magical. I would have so much fun with Bella with this Disney shots. I think those photos are so cool. These are cool. 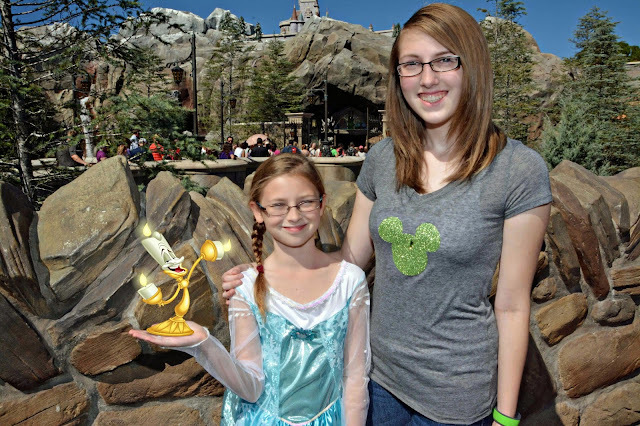 They did a few for us last Feb. Next time I'll get the photopass pkg and buy them all. Did they change the name of this to Magic Shoot? We did this 2 years ago when we went and bought the Photo Pass it was AWESOME and worth it. These are so cool and awesome. I love it. Wow, this is so cool! I had no idea Disney did this. I love the kissing the frog one! This is too cute! I had no idea they did this! Lol! These pics are just too awesome! I love it! Oh my gosh! These are so adorable. I haven't been to Disney in decades, so I had no idea cute photos like this even existed. Oh how cute! This brings back a lot of memories. Love Olaf and the reindeer. OMG I love Disney for this innovation. These magic shots were adorable and I loved love loved them all! Your family looks so cute! These are so neat! I love them all but the balloons were really cute! These magic shots are so cute and they look so real. It's a great way to add a little fun to an already magical experience. That looks so cool and fun to use, I'm going to Disney in a bit so this looks like something I should try out! Okay I totally love this like seriously. I really like the one with stitch and the ice cream. These pictures are all awesome! I love everything about Disney! Wow, I didn't know they did this. These are really awesome. I love them all but I really love the one of your daughter kissing the frog. Super cool and fun! I like that they also offer to take photos with your own family for those on a budget. Haha These are brilliant!! I really can't pick which is the best...love them all. Next time you guys go, I AM GOING WITH YOU!! I will hide in your suitcase! I love these! I don't have a favorite but that's just because they are all fantastic! I didn't know they did that! I love the frog one. How cute all of those shots are. I am like Shell and had no idea they did things like that. Love these amazing Photos & yeah magic shots indeed. Though everything looks great, I love the one with the Butterflies as it is so natural. Thanks for sharing. These are so cute and such a great idea. I love the wings and the butterflies. I love this so much. 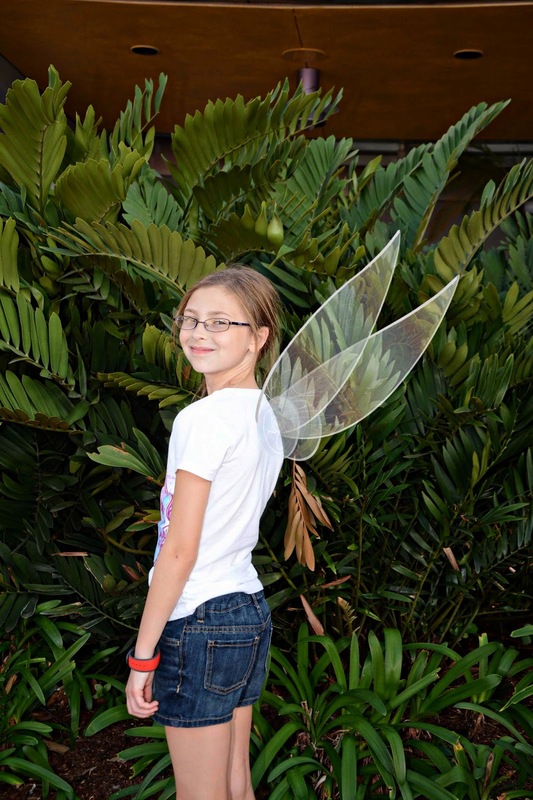 It is great that way parks are finding another way to get involved and help create memories. What a great idea! I love these pictures they look so much more fun than regular pictures! I love the Stitch one! We are going next month, and I'm going to buy the photo pass! 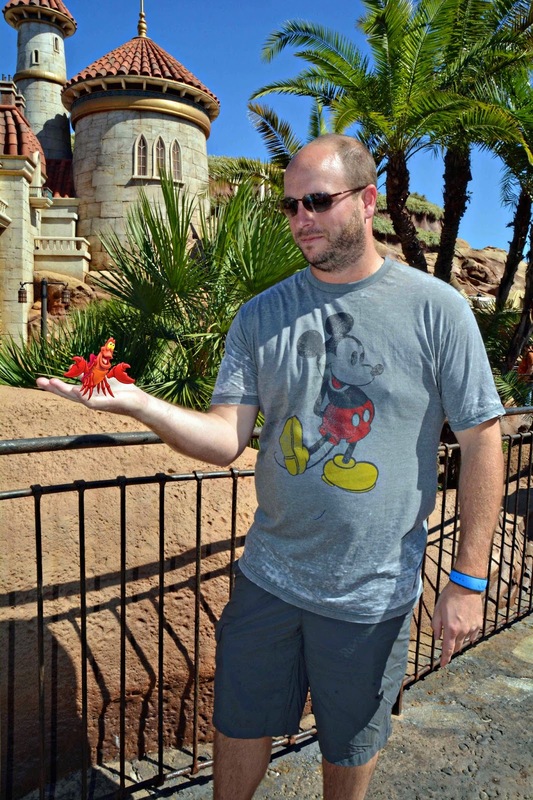 I like the photo of your husband holding the crab because he has a strong reaction to the character. 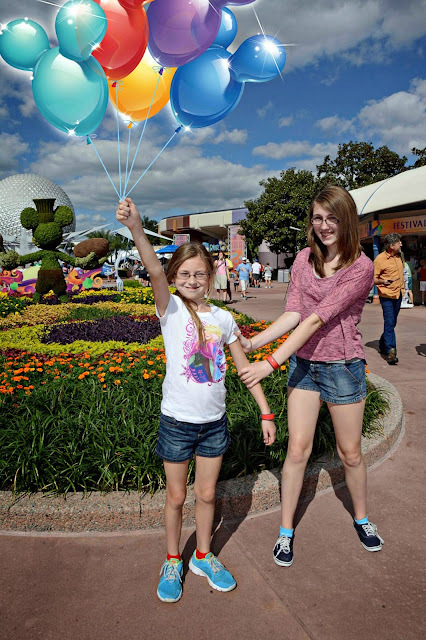 Visiting Disney is like sticking a vacuum cleaner in your wallet. They are all fun! I like the Tinker Bell one best. So magical. Amazing! Love how they all turned out. My fave is the last one, with Stitch. My pics are always boring so this would be awesome to do and perk up the pics. 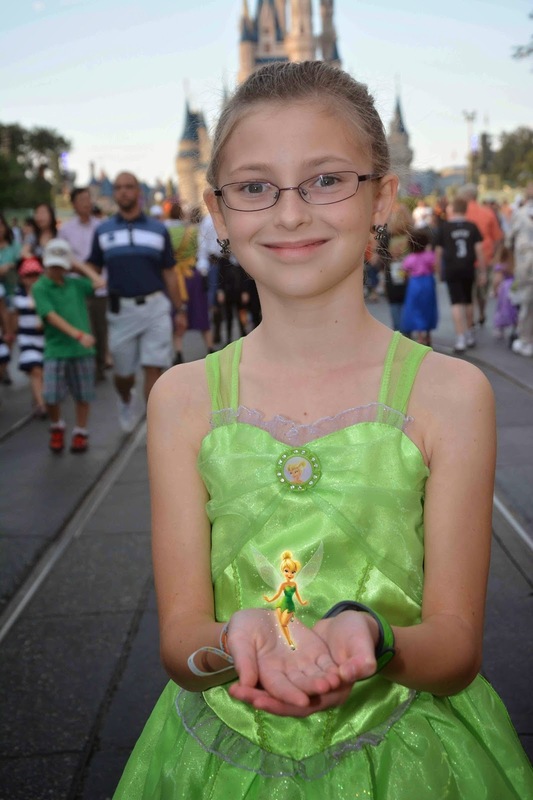 I like Tinkerbell in the palm of your daughter's hands. This sounds like a fun app! I think our kids would have a blast playing with it. How cute is this! 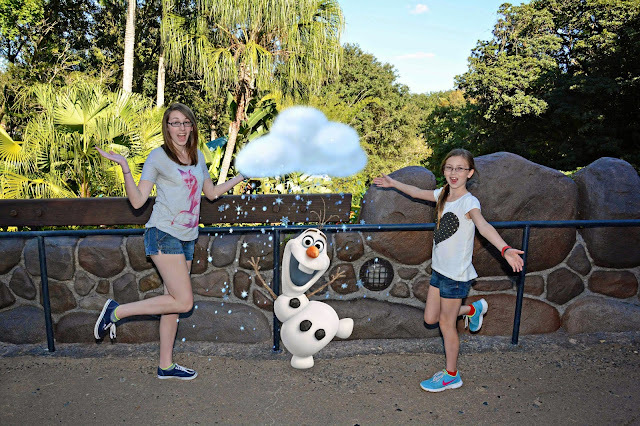 My boys would love to have their picture with Olaf! We are planning a trip to Disney World in the spring. Adding this to my list of things to do!